Sometimes, when we're triggered it's hard to make a good decision in the moment - especially if we are experiencing strong emotion. 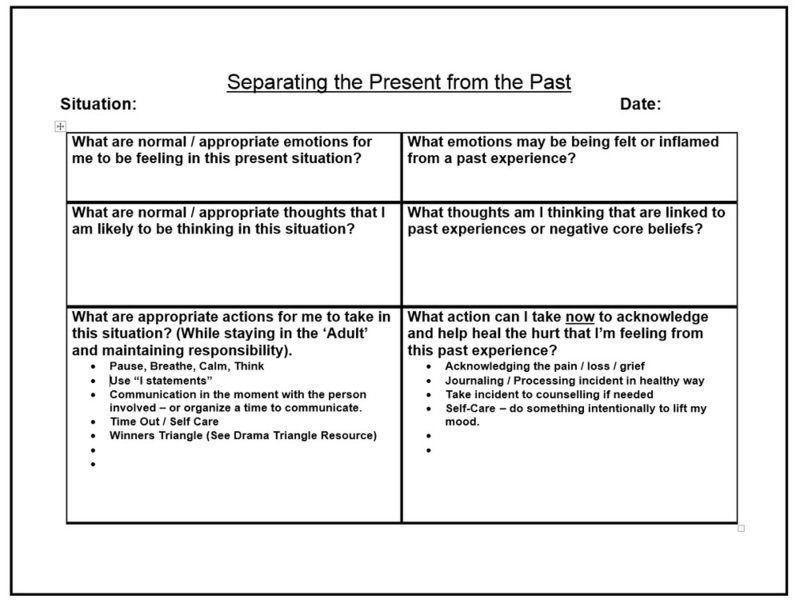 Using the below table helps us to understand what it going on; and specifically to see if there may be past circumstances or beliefs that are influencing the way we approach a situation in the present. Read Freedom Blog "Singular Focus Part 5" for a detailed description. It would also be helpful to read the Singular Focus Blog series from the start as it will help you to understand the driving forces behind your reactions. For more information on "I-Statements" see either the I Statements Resource and the "All Powerful I" Blog Post.